Aiguebelle was founded in 1137 by the monks of Morimond. The monastery was built in a small isolated valley, according to Cistercian tradition, where three streams meet, hence the name Aiguebelle. In the XIIth century, the monastery received donations from neighbouring lords and its estate grew considerably. From the XIVth century, it suffered more and more ordeals: hundred years' war, the Black death, drop in callings, particularly of lay brothers. In 1791, the monastery was then pillaged and sold as a national asset. Its distance from the major routes saved it from demolition. 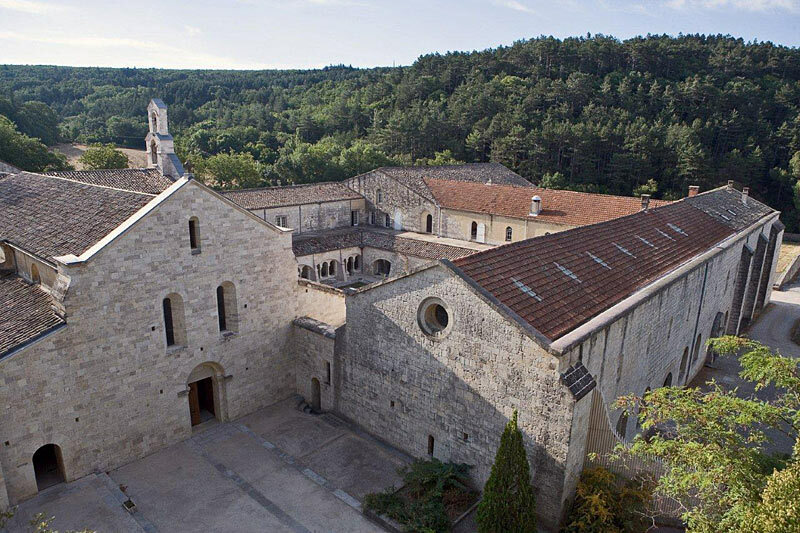 The absence of monks lasted at least 25 years: in 1815, a group of Cistercians came and restored life to the monastery. They came from La Valsainte. The community grew rapidly and founded several monasteries, of which most are still alive: Staouéli then N.D. de l'Atlas in Algeria, Les Neiges in Ardèche, le Désert near Toulouse, les Dombes north-east of Lyon, Bonnecombe in Aveyron, Acey in Jura then Koutaba in Cameroon. The community now has 26 brothers. Despite demolitions, transformations and restorations, the main regular medieval buildings have been preserved: church, cloister, vestry, chapter, scriptorium, refectory and kitchen as well as the entire lay brother's building (alley, cellar, refectory and dormitory).